This is “Developing Your Leadership Skills”, section 10.6 from the book Management Principles (v. 1.1). For details on it (including licensing), click here. Learn how to be a servant leader. Follow a process to develop your own authentic leadership. 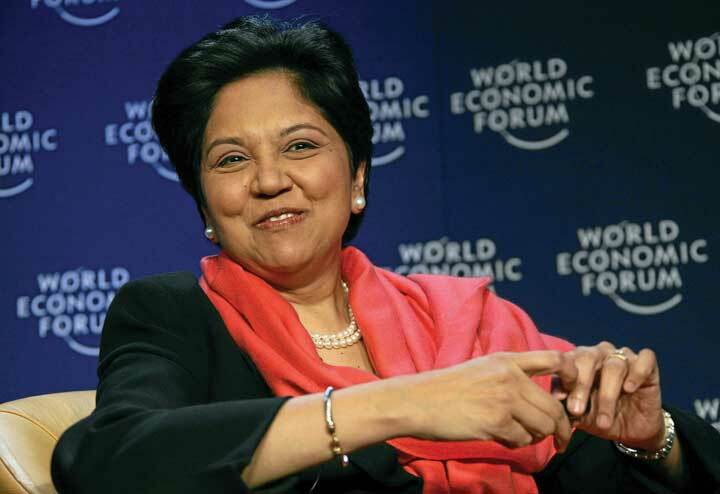 The CEO of PepsiCo, Indra Nooyi, is a leader who demonstrates passion for her vision and energizes those around her toward her vision for the company and causes she believes in. In this section, we will give you tips to help you develop your charismatic, servant, and authentic leadership skills. Each of these contemporary approaches to leadership is believed to be related to employee attitudes and a healthy work environment. Charismatic individuals have a “magnetic” personality that is appealing to followers. While many people assume that charisma is inborn, it is possible to improve your charisma by following these suggestions:Frese, M., Beimel, S., & Schoenborg, S. (2003). Action training for charismatic leadership: Two evaluations of studies of a commercial training module on inspirational communication of a vision. Personnel Psychology, 56, 671–697; Shamir, B., House, R. J., & Arthur, M. B. (1993). The motivational effects of charismatic leadership: A self-concept based theory. Organization Science, 4, 577–594. Have a vision around which people can gather. When framing requests or addressing to others, instead of emphasizing short-term goals, stress the importance of the long-term vision. When giving a message, think about the overarching purpose. What is the ultimate goal? Why should people care? What are you trying to achieve? Tie the vision to history. In addition to stressing the ideal future, charismatic leaders bring up the history and how the shared history ties to the future. Watch your body language. Charismatic leaders are energetic and passionate about their ideas. This involves truly believing in your own ideas. When talking to others, you may want to look confident, look them in the eye, and express your belief in your ideas. Make sure that employees have confidence in themselves. You can achieve this by showing that you believe in them and trust their abilities. If they have real reason to doubt their abilities, make sure that you help them address the underlying issue, such as through training and mentoring. The various theories of leadership covered in this chapter highlight the interrelationships among the facets of the leading functions. In particular, leadership, decision making, and motivation are very closely linked. Leadership skills span the other P-O-L-C functions as well. Challenge the status quo. Charismatic leaders solve current problems by radically rethinking the way things are done and suggesting alternatives that are risky, novel, and unconventional. One of the influential leadership paradigms involves leaders putting others first. This could be a hard transition for an achievement-oriented and success-driven manager who rises to high levels. Here are some tips to achieve servant leadership.Buchanan, L. (May, 2007). In praise of selflessness: Why the best leaders are servants. Inc, 29(5), 33–35; Douglas, M. E. (2005, March). Service to others. Supervision, 66(3), 6–9; Ramsey, R. D. (2005, October). The new buzz word. Supervision, 66(10), 3–5. Don’t ask what your employees can do for you. Think of what you can do for them. Your job as a leader is to be of service to them. How can you relieve their stress? Protect them from undue pressure? Pitch in to help them? Think about creative ways of helping ease their lives. One of your key priorities should be to help employees reach their goals. This involves getting to know them. Learn about who they are and what their values and priorities are. Be humble. You are not supposed to have all the answers and dictate to others. One way of achieving this humbleness may be to do volunteer work. Be open with your employees. Ask them questions. Give them information so that they understand what is going on in the company. Find ways of helping the external community. Giving employees opportunities to be involved in community volunteer projects or even thinking and strategizing about making a positive impact on the greater community would help. Authentic leaders have high levels of self-awareness and their behavior is driven by their core personal values. This leadership approach recognizes the importance of self-reflection and understanding one’s life history. Address the following questions to gain a better understanding of your own core values and authentic leadership style. Review your life history. What are the major events in your life? How did these events make you the person you are right now? Think about your role models. Who were your role models as you were growing up? What did you learn from your role models? Describe your personality. How does your personality affect your life? Know your strengths and weaknesses. What are they and how can you continue to improve yourself? Keep a journal. Research shows that journaling is an effective tool for self-reflection. Write down challenges you face and how you will surmount them; periodically review your entries to check your progress. Understand your core values. What are your core values? Name three of your most important values. Do an ethics check. Are you being consistent with your core values? If not, how can you get back on track? Words shape reality. Keep in mind that the words you use to describe people and situations matter. For example, how might the daily reality be different if you refer to those you manage as associates or team members rather than employees or subordinates? In view of your answers to the questions above, what kind of a leader would you be if you truly acted out your values? How would people working with you respond to such a leadership style? The various leadership styles have their pros and cons. It is valuable to be able to assess them in light of your situation and your personal style. Authenticity has become recognized as being important regardless of the other leadership styles one uses. Anyone can be an authentic leader if he or she develops those skills. There is no time like the present to start! What is the connection between leadership and ethics? Do you believe that ethical leaders are more successful in organizations? Have you ever had an authentic leader? What did this person do that made you consider him or her to be authentic? How effective was his or her leadership?